THANK YOU TO EVERYONE WHO PARTICIPATED IN THE 2015 WE DIG EASTON FUNDRAISER! The We Dig Easton fundraiser was a fantastic success for three great Easton organizations. 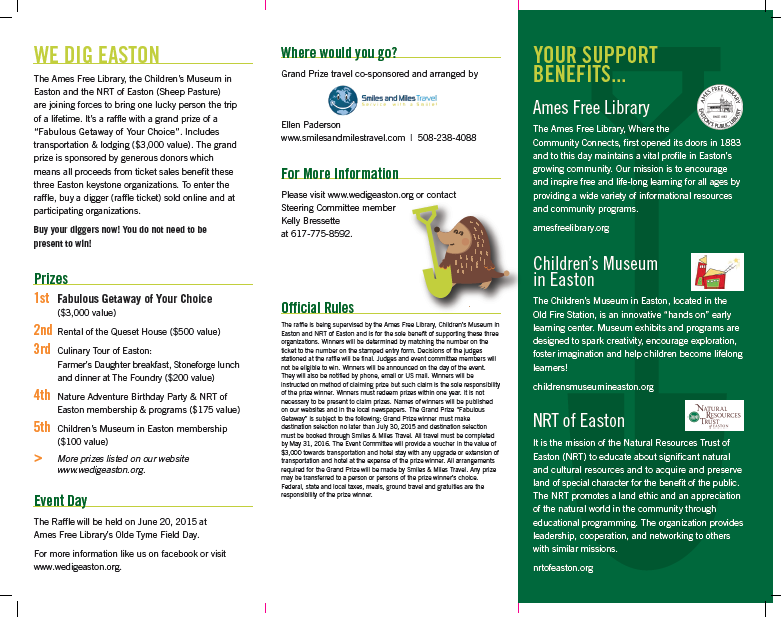 On behalf of the NRT, the Ames Free Library, and the Children's Museum in Easton, we would like to thank all of the many people that bought tickets, sold tickets, volunteered, made donations, sponsored the event, and attended the raffle drawing on June 20th. The generosity of the community is deeply appreciated. Congratulations to Ms. Kathy Boyle, the grand prize winner of the We Dig Easton event! We hope she enjoys her getaway! WHERE WILL YOU GO WITH WE DIG EASTON? We Dig Easton! is a fabulous new fundraiser giving participants the chance to win a fantastic getaway of their choice. This grand prize includes transportation & lodging ($3,000 value). 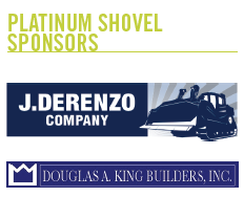 By purchasing Diggers (chances) toward the grand prize, you also support three non-profit organizations that are dedicated to working with all families in our community. How do I get my raffle tickets for a chance to win? It's Easy! The We Dig Easton raffle has finished for 2015. Check back on our page for future updates! Like We Dig Easton! on Facebook!